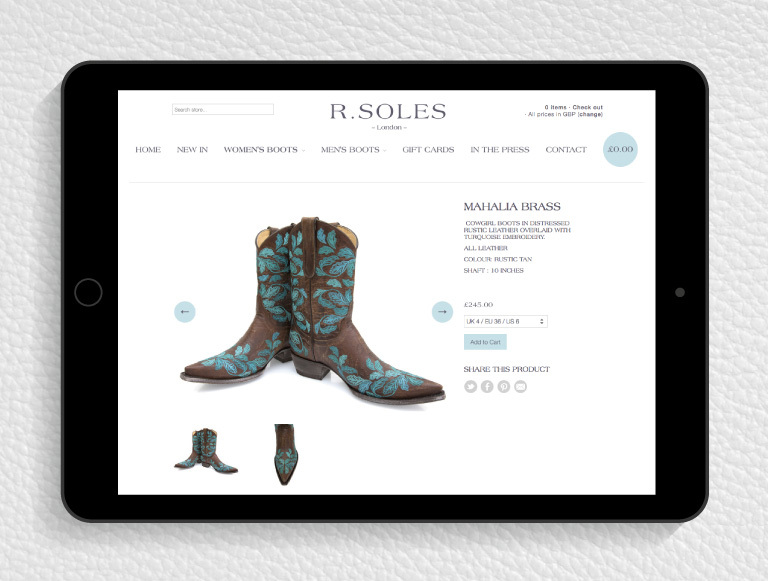 R.Soles opened on King’s Road, Chelsea in 1975 but are now exclusively online. 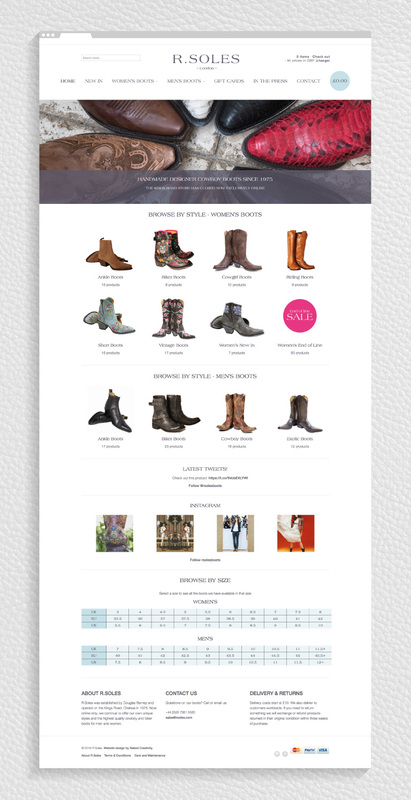 Selling a range of their own unique cowboy and biker boots for both men and women, they have long been a favourite of the fashion press, celebrities and royalty. 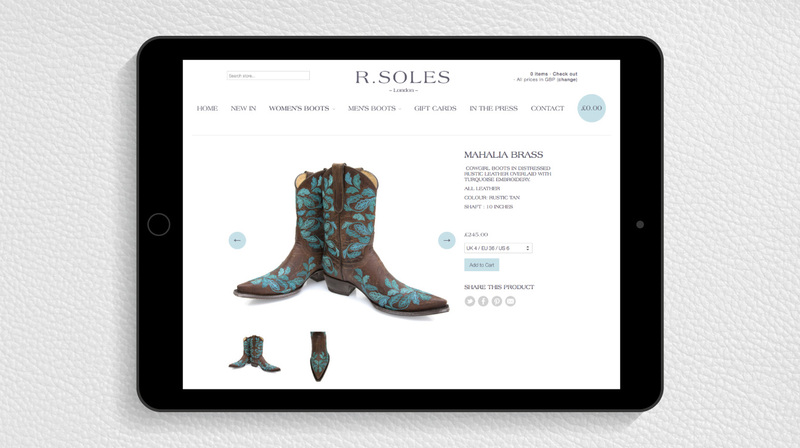 Following the store closure R.Soles needed to significantly update their online presence, with an improved website that would increase sales. 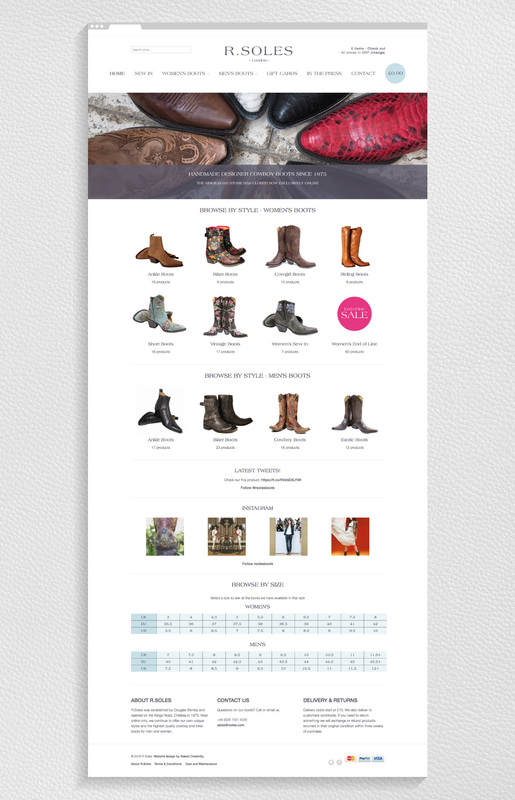 With a large range of boots, they also needed to track inventory so that they could guarantee availability and fulfil orders, something not possible on the previous website. 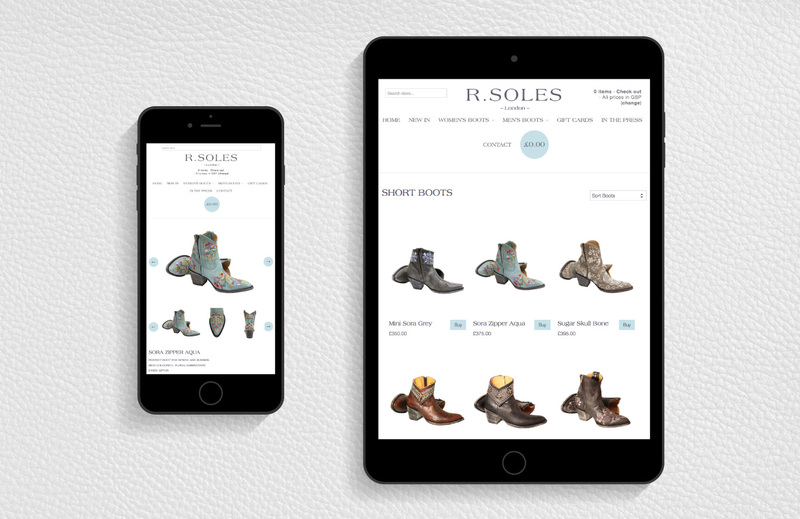 Naked Creativity proposed Shopify as an ecommerce platform for R.Soles. With integration with key payment gateways such as Sagepay and PayPal, a customised store could be designed, built and launched inside a tight timeframe and within a relatively limited budget. With an enhanced user experience and more secure payment options, the new website has seen significant sales growth in the short period since it was launched.